I was invited by the Committee of Senior Labour Inspectors (SLIC) to provide a forward looking scientific commentary at the conclusion of its Final Conference of the 2012 Inspection Campaign on Psychosocial Risks Assessment. The Campaign is supported by the European Commission. 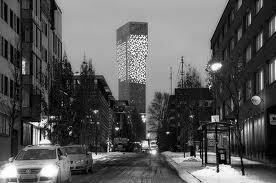 The Conference was held in the Scandic Victoria Tower Hotel in Kista outside Stockholm. I had previously presented at the opening conference for the Campaign in Luxembourg at the end of 2011. My commentary focused on a possible development agenda for psychosocial risk inspection, management and enforcement which included the continuing need: to strengthen the evidence base to support psychosocial risk management, to develop new inspection and enforcement strategies, to be alert to the emergence of new psychosocial risks and issues, and to consider issues of sustainability. The Final Campaign Report will include my paper setting out this suggested development agenda. This entry was posted in Uncategorized and tagged Health and safety, Inspection and enforcement, Psychosocial risk management, SLIC 2012 Campaign, Stockholm, sustainability, Sweden. Bookmark the permalink.